Pendleton Woolen Mill Store: April spring cleaning event starts Friday April 7th! April spring cleaning event starts Friday April 7th! 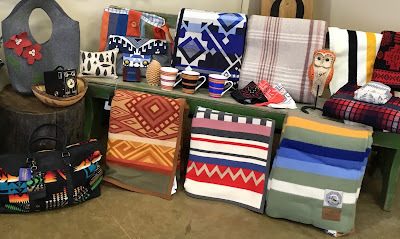 Save on first quality Pendleton discontinued itemsor rummage through final sale odds and ends!! Discontinued 2016 bedding collections, robes, towels, throws, bags, scarves, and much more! First quality merchandise; limited quantities available. Returned/Damaged “AS IS” and FINAL SALE non-Pendleton merchandise at bargain prices! Items may include lamps, blanket hangers and other home accessory products.